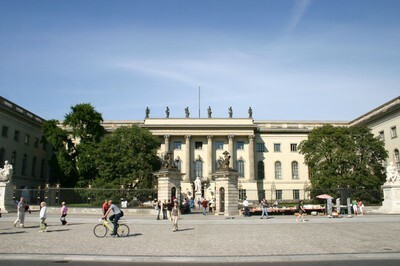 Humboldt University at Unter den Linden 6, Berlin. 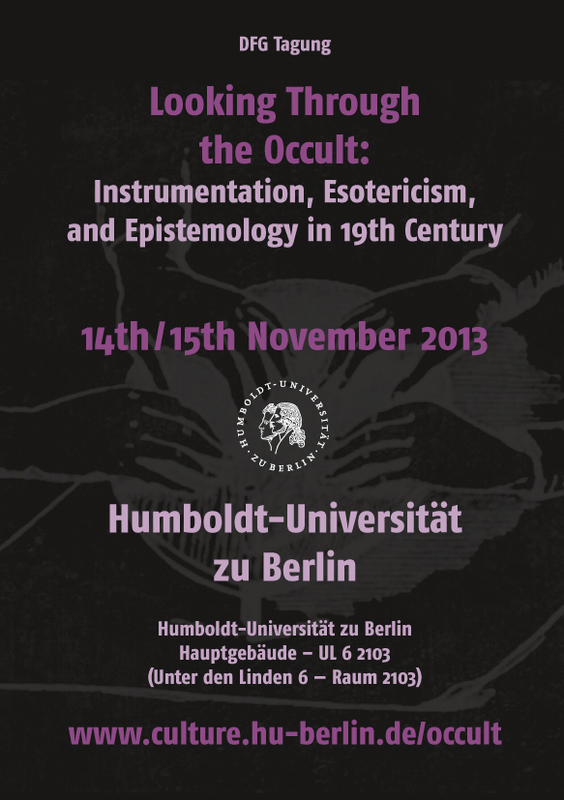 I’m excited to participate in a wonderful conference at Berlin’s Humboldt University on November 14-15: “Looking through the Occult: Instrumentation, Esotericism and Epistemology in the 19th Century”. The conference is free and open to the public, so if you are in Berlin and have an above average interest in topics such as spiritualism and mediums, ether physics, spirit photography, early radio technology and x-rays, this should be a good treat. Check out the nice website for more information on the programme, how to get there, and what to read up on in advance. How did occult and spiritualistic beliefs in automatic writing relate to the scientific belief in “self-recording” instruments as a path towards an objectivity unperturbed by human intervention? How might nineteenth century intersections between scientific and esoteric styles of reasoning inform the way we understand present-day technological and social innovations, in particular those that may run counter to traditional forms of scientific and hegemonic reason? What shared forms of visual, graphical, and instrumental notation interpenetrate scientific , technological, and occult knowledge? Do present-day efforts to transcend space, time, and social difference via social and mobile media recapitulate earlier spiritualistic and technological aspirations? My own paper has the working-title “Scientific rationalism, occult empiricism? Representations of the micro-physical world c. 1900”. I will follow up some observations from a previous article on Victorian occultism and ether physics (and in my dissertation), and pay further attention to an epistemological dimension of “esoteric” conceptions of / borrowings from contemporaneous “science”. Focusing on different views on instrumentation, representation, and inferential strategies (e.g. deductive, inductive, abductive) maps an interesting epistemological chasm that may perhaps tell us something about understandings of “method” and knowledge production in the broad cultural shadow of “science” as it had emerged by the late 19th century. We’ll see. I still have to write the paper.